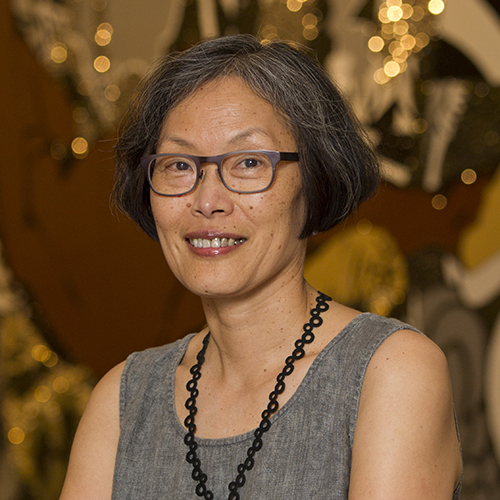 Eugenie Tsai joined us in 2007 as John and Barbara Vogelstein Curator of Contemporary Art. With Patrick Amsellem, she organized 21: Selections of Contemporary Art from the Brooklyn Museum, a long-term installation that opened in 2008. Previously she was Director of Curatorial Affairs at P.S.1 Contemporary Art Center in Queens, New York. Prior to Joining P.S. 1 in 2005, she was an independent curator with projects for the Museum of Contemporary Art, Los Angeles; the Berkeley Museum; and the Princeton University Art Museum. She held several positions at the Whitney Museum of American Art prior to becoming Associate Director for Curatorial Affairs. Among the exhibitions and installations she has organized are the mid-career survey Threshold: Byron Kim, 1990-2004; Robert Smithson, which received the International Association of Art Critics’ first place award for the best monographic exhibition of 2005; and for Princeton University, Shuffling the Deck: The Collection Reconsidered. Tsai received a B.A. from Carleton College in Northfield, Minnesota, and a Ph.D. from Columbia University.